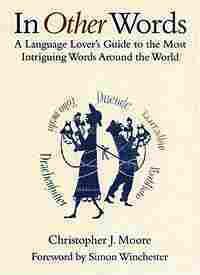 Translating the Untranslatable Linguist Christopher J. Moore has made a career of searching out some of the world's most "untranslatable" expressions — words from around the globe that defy an easy translation into English. Moore shares a few of his linguistic favorites from his new book In Other Words: A Language Lover's Guide to the Most Intriguing Words Around the World. Linguist Christopher J. Moore has made a career of searching out some of the world's most "untranslatable" expressions -- words from around the globe that defy an easy translation into English. 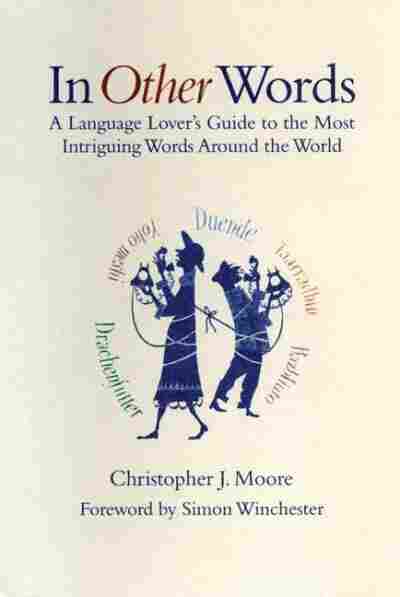 Moore shares a few of his linguistic favorites from his new book In Other Words: A Language Lover's Guide to the Most Intriguing Words Around the World with Renee Montagne. This word from the Tshiluba language of the Republic of Congo has topped a list drawn up with the help of one thousand translators as the most untranslatable word in the world. It describes a person who is ready to forgive any transgression a first time and then to tolerate it for a second time, but never for a third time. Arabic has no word for "compromise" in the sense of reaching an arrangement via struggle and disagreement. But a much happier concept, taarradhin, exists in Arabic. It implies a happy solution for everyone, an "I win, you win." It's a way of resolving a problem without anyone losing face. This is one of the essential ways of getting things done in traditional Chinese society. To build up good guanxi, you do things for people such as give them gifts, take them to dinner, or grant favors. Conversely, you can also "use up" your guanxi with someone by calling in favors owed. Once a favor is done, an unspoken obligation exists. Maybe because of this, people often try to refuse gifts, because, sooner or later, they may have to repay the debt. However the bond of guanxi is rarely acquitted, because once the relationship exists, it sets up an endless process that can last a lifetime. This is an untranslatable emotion that only a Czech person would suffer from, defined by Milan Kundera as "a state of torment created by the sudden sight of one's own misery." Devices for coping with extreme stress, suffering, and change are often special and unique to cultures and born out of the meeting of despair with a keen sense of survival. A witty remark that occurs to you too late, literally on the way down the stairs. The Oxford Dictionary of Quotations defines esprit de l'escalier as, "An untranslatable phrase, the meaning of which is that one only thinks on one's way downstairs of the smart retort one might have made in the drawing room." A "raisin pooper" -- that is, someone so taken up with life's trivial detail that they spend all day crapping raisins. You can spot these types a mile off -- it's that irritating pen pusher or filing fanatic whose favorite job is tidying up the stationery cupboard. This is a word that modern Greeks often use to describe doing something with soul, creativity, or love -- when you put "something of yourself" into what you're doing, whatever it may be. Meraki is often used to describe cooking or preparing a meal, but it can also mean arranging a room, choosing decorations, or setting an elegant table. A term often translated as "form," but it also has the specific cultural meaning of "the reality that everyone professes to be true, even though they may not privately believe it." For privately held views, the Japanese have a different term, honne, meaning, "the reality that you hold inwardly to be true, even though you would never admit it publicly." The British civil servant muttering the reproach "bad form, old boy" over a drink in the club, may be expressing something very close to the quality of tatamae. "As an untranslatable, this one ranks high on my list of favorites. I could not improve on the background given by commentator Boye Lafayette de Mente about this beautiful word, yoko meshi. Taken literally, meshi means 'boiled rice' and yoko means 'horizontal,' so combined you get 'a meal eaten sideways. 'This is how the Japanese define the peculiar stress induced by speaking a foreign language: yoko is a humorous reference to the fact that Japanese is normally written vertically, whereas most foreign languages are written horizontally. How do English-speakers describe the headache of communicating in an alien tongue? I don't think we can, at least not with as much ease." This wonderful word captures an entire world of passion, energy, and artistic excellence and describes a climactic show of spirit in a performance or work of art. Duende originally meant "imp" or "goblin" and came to mean anything magical. It now has a depth and complexity of meaning that crosses artistic borders, from flamenco dancing to bullfighting. The Spanish poet Garcia Lorca wrote an eloquent essay on duende that explores the complex and inspirational flavor of its sense, and I know no better introduction. Excerpted from In Other Words by Christopher J. Moore. Copyright © 2004 by Elwin Street Limited. Excerpted by permission of Walker & Company. All rights reserved. No part of this excerpt may be reproduced or reprinted without permission in writing from the publisher.